Any good dog treat worth it’s weight in gold needs to have a few things. 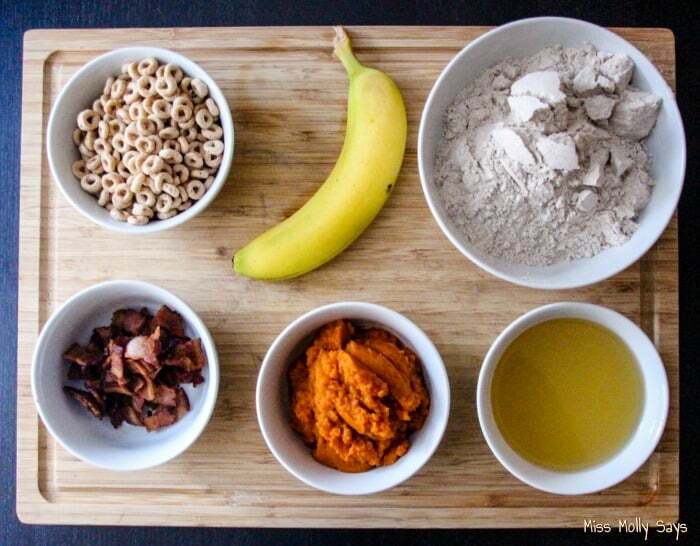 These Cheerios, Banana & Bacon Dog Treats has em all! The first thing us dogs look for is crunchiness and Cheerios definitely have it. Second on the list, is a bit of sweet. But not just any kind of sweet will do. We’re not talkin’ the bad for ya sweet, we like usin’ bananas in our recipe. 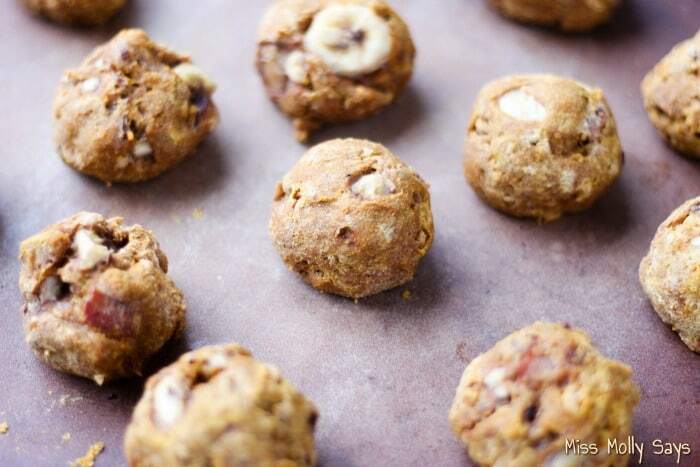 Bananas make em a healthy homemade dog treat and a sweet treat! Plus, most dogs love em. 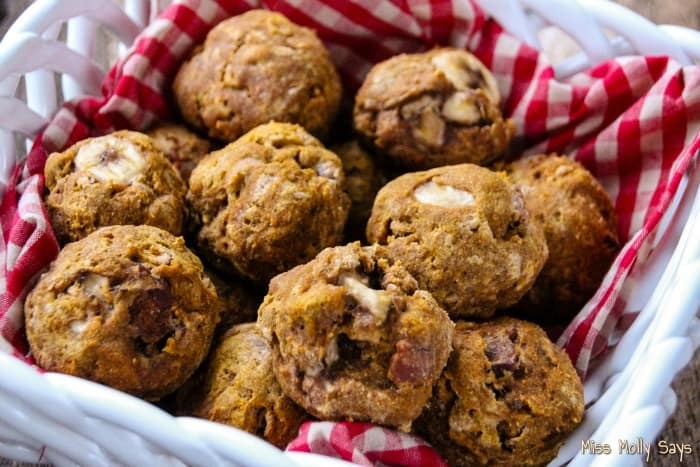 But that’s not all because this dog treat recipe gets even better. We saved the best for last. Bacon! Yep! You read it right – BACON! BACON! WOOF! Just like you humanz, us dogs go a bit cray cray over this crispy delicious stuff. NOTE: Make sure to use the original Cheerios and not the varieties that contain sugar. Cheerios contain wheat, which isn’t bad for dogs in moderation. Do not use raw bacon. Bacon should be thoroughly cooked. It is best to use unsalted bacon, but regular is fine in moderation. When finished frying bacon place it on a paper towel to absorb excess fat. Remember not to include the bacon grease because dogs can get high cholesterol too. The Cheerios, Banana & Bacon Doggie Treats are meant to be used as a snack and should not be used as a meal replacement for your pet. If you have any questions about this recipe and or the ingredients used, I urge you to contact your veterinarian. Preheat oven to 400. Cook off bacon ahead of time. Line a small cookie sheet with parchment paper. 1. 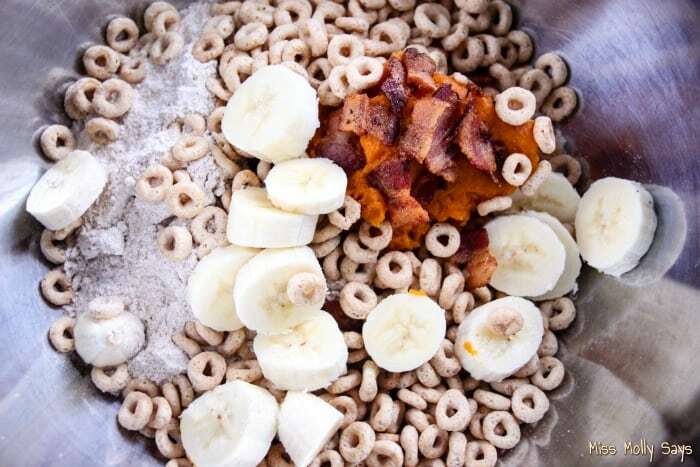 In a large bowl combine flour, pumpkin, chicken stock, Cheerios, mashed banana and crumbled bacon. If the mixture is too dry, add a bit more chicken stock. 2. Use a small ice cream scoop and place a dollop of the mixture into the palm of your hand and roll it into a ball. 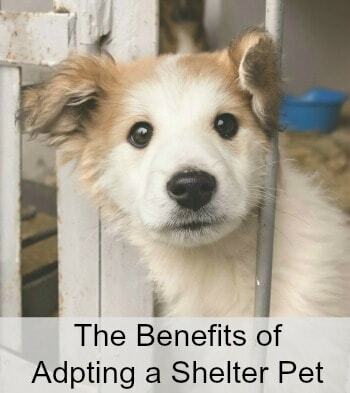 Place dog treats onto a pizza stone or for best results a small cookie sheet lined with parchment paper. 3. Bake for 50 minutes. 4. Remove from oven and allow to cool. Do not serve hot food to your dog, this can cause severe injury. 5. When treats are cool enough to handle safely place in a zip-lock bag and store in the refrigerator. In a large bowl combine flour, pumpkin, chicken stock, Cheerios, mashed banana and crumbled bacon. If the mixture is too dry, add a bit more chicken stock. Use a small ice cream scoop and place a dollop of the mixture into the palm of your hand and roll it into a ball. 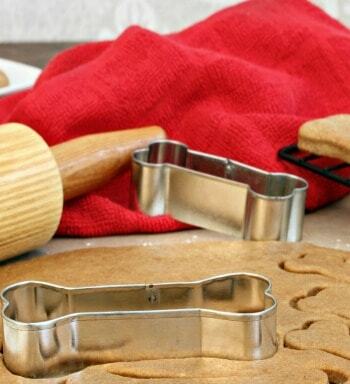 Place dog treats onto a pizza stone or for best results a small cookie sheet lined with parchment paper. Remove from oven and allow to cool. 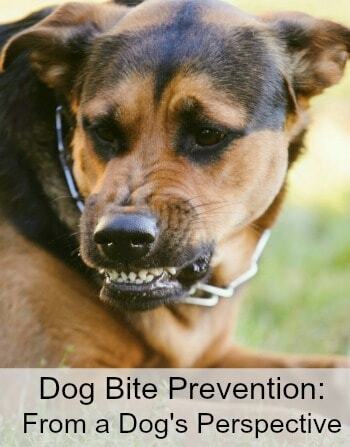 Do not serve hot food to your dog, this can cause severe injury. When treats are cool enough to handle safely place in a zip-lock bag and store in the refrigerator. Thank you for the recipe! I am sure my dogs would love it! These look and sound good. Are you sure these are for dogs for they look too good. I am going to try to make these for my dogs. These sound so easy and fun to make!! I think my son and I will do these for our doggy friends this Christmas!! I love this! I can’t wait to try! Unfortunately, my girl has allergies to pork so I will have to leave that out or find an alternative. Thank you for the great recipe. My babies will love this recipe! I love making homemade goodies for them, thank you! Omg this is perfect. I absolutely love this. Thank you do muvh. I’m so happy I did this hop and found you. I love your site. 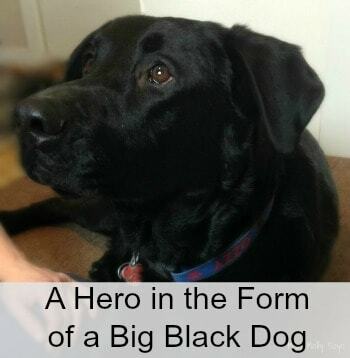 I would like to make this for our dog Sadie. I have one dog that like banana and another one that does not, but I’m thinking with the bacon he may decide it’s pretty good. This looks like a great recipe, healthy too! 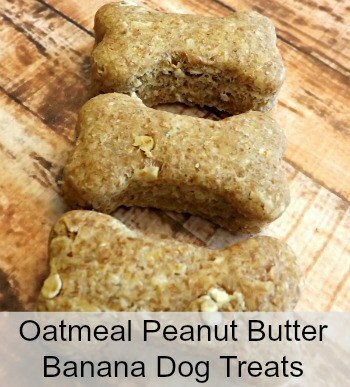 Our dogs love their treats, I think might like these. I definitely need to makes this for them. I’m going to make this for my dog Lulu. I’m sure she would love it. I think I might have to make these for my German Shepherd! Thanks for sharing at Merry Monday! Those would be tasty and safe even if your kid ate one. 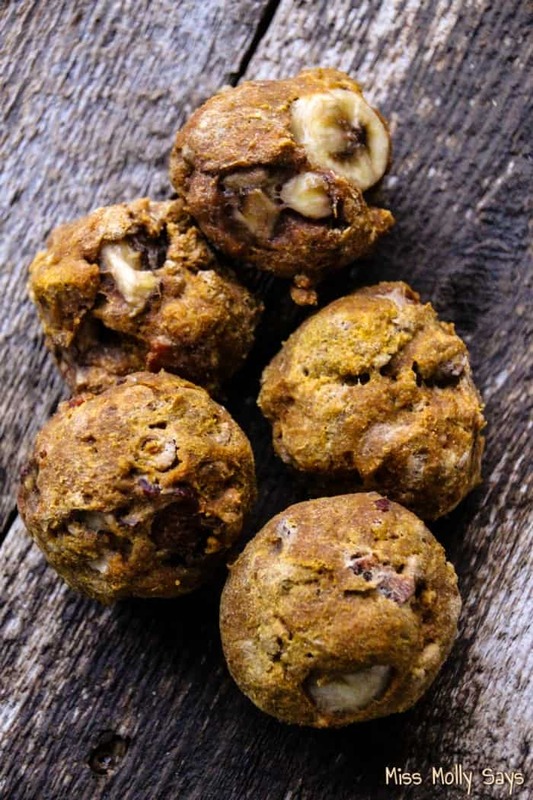 Dog treat recipes! Great idea! I spend so much money on dog treats it’s ridiculous. 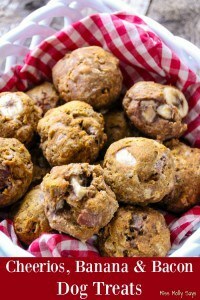 I am going to make some of these tonight and see if my picky dog will eat them. He always wants people food and this will seem like people food to him! Oh my puppy would LOVE this. He loves bananas, and of course bacon is a favorite. I have been given him some medication and these would be perfect to hid the med in. 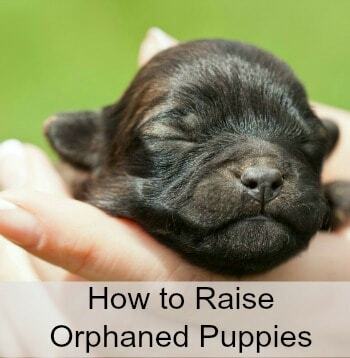 I need to make these for our pup! Thanks for the recipe! This would make a great treat to put in my 4 girls stockings.